Muay Thai is the traditional martial arts form of Thailand. also known as the art of "8 limbs", Muay Thai is an ancient combat art utilizing kicks, knees, punches and elbow strikes. Along with strikes, muay thai teaches clinching and sweeping of the legs. it is a very effective style of striking for fighting or self-defense. 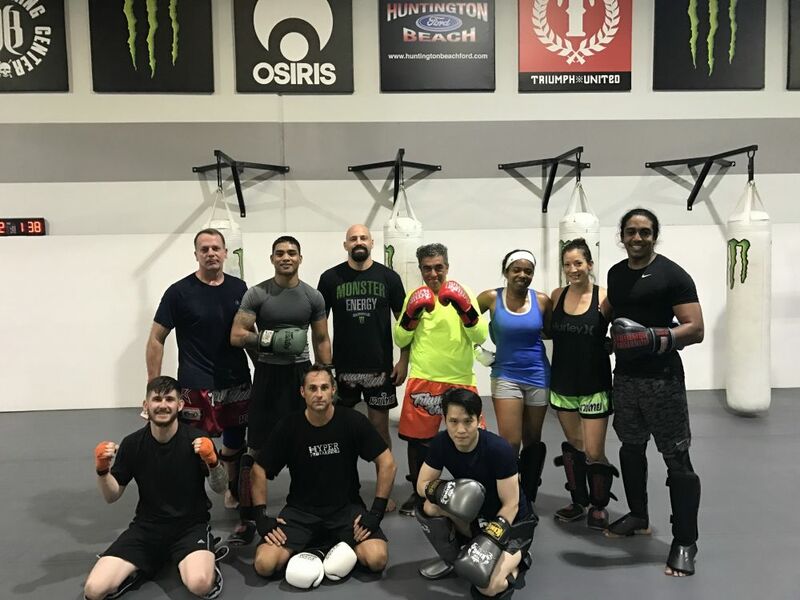 The Huntington Beach Ultimate Training Center’s Muay Thai program has been developed for the modern day striker, mixed martial artist and any student looking for one of the most efficient forms of self-defense. The program's curriculum will teach the student balance, proper footwork, body mechanics, punches, kicks, knees, and elbows in a set format to help them feel comfortable while retaining what they are learning. Each class of the program is 60 minutes, starting with a dynamic warm up, jump roping, shadow boxing, technique drilling, live sparring, core work and stretching. The Muay Thai in Huntington Beach requires graduation from our kickboxing and Muay Thai Basics program before a student is able to participate in our advanced Muay Thai Sparring program.